In the United States, everything is big, bigger, biggest. This definitely goes for the cash prizes that can be won in the two most important lotteries of the country: US Powerball and Mega Millions. In 2012, Mega Millions was the first lottery in the world for which the jackpot crossed the magic boundary of half a billion dollars. With a mega jackpot of 656 million dollars, Mega Millions held on to this record for four years. By now, US Powerball has surpassed this by a fair amount. Nonetheless, Mega Millions is still one of the most popular lotteries in the world. And ever since the possibility arose of purchasing a lottery ticket online, you can also take part in this lottery from Europe. Mega Millions started in 1996 under the name The Big Game. Six years later, that name was changed to The Big Game Mega Millions, although by now, we simply speak of Mega Millions. The lottery is played in the majority of the American states. Only Alabama, Alaska, Hawaii, Mississippi, Nevada and Utah are not taking part. These states actually do not sell lottery tickets for US Powerball either. Big lotteries like Mega Millions, US Powerball, EuroMillions and Eurojackpot all work using the same principle. The lottery tickets all contain a double grid of numbers, and it is your task to select the right numbers out of those. The upper grid consists of regular numbers. These are drawn using white balls. The second grid has a special status. Therefore, each lottery has given it another name. Mega Millions speaks of the drawing of the Mega Ball. If you predict this number right, you have definitely won a prize. 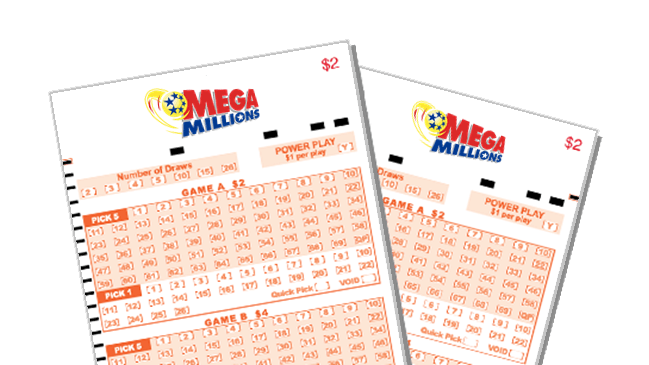 You will obviously take part in Mega Millions in hopes of winning a significant cash amount. The excitement that it brings is a nice extra, although it is eventually all about the profits. And thanks to the so-called ‘Megaplier’, this amount can actually be multiplied. The draw determines the exact factor of multiplication, which varies between 2 and 5. When you purchase a lottery ticket, you will decide for yourself whether you’d like to activate the Megaplier. You pay extra in order to do so, although it could result in a significant cash amount. Because, with the exception of the jackpot, all categories become more valuable with the Megaplier. Mega Millions truly honours its name. Twice per week, actual millions of dollars can be won. The jackpot is at least 15 million dollars, although this amount can get quite a bit higher. Prizes of more than 100 million are definitely not an exception. Therefore, it is very tempting to purchase a lottery ticket for every draw. Who knows, you might be the next one to take off with the mega jackpot. The drawing takes place on Tuesdays and Fridays at 11pm. This happens in the ABC studios in Atlanta, Georgia. So if you want to know right away if and how much you win, you will have to get up early if you live in Western Europe: in CEST, the drawing takes place on Wednesdays and Saturdays at 5am. Gambling enthusiasts have many different lotteries to choose from. So it only makes sense that those lotteries do all they can to stay ahead of the competition. For Mega Millions, there is always the battle with US Powerball. Since Powerball took over the record for the highest jackpot in the world, it was only a matter of time before Mega Millions made their next move. – Bigger and better prizes: For the past few years, the jackpot of Mega Millions was at least 15 million dollars. This amount is pretty much dwarfed by the minimum jackpot of Powerball, which stands at 40 million dollars. For a long time, the question was when Mega Millions was going to level the playing field. This time has now arrived. – Better odds of winning the second prize: in order to win the jackpot, you need to correctly guess all the regular numbers and the number of the Mega Ball. Did you only get the regular numbers right? Then the second prize is yours. The odds of achieving this will increase with this new format. While your odds of winning were previously 18 million to 1, these have now gone up to 12 million to 1. Yet you still have to be incredibly lucky to take home this great cash prize. – Higher prizes in the third category: The prize for the third category (getting four regular balls and the Mega Ball right) has been at 5000 dollars for years. Starting from the end of October, 2017, this amount will be doubled. The cash prizes will also increase for other categories. This is obviously great news for every lotto player. The extra high prizes and greater odds of winning are a clever way of attracting more players. Although the most visible change has definitely been the new lottery ticket. This lottery ticket has been changed a number of times since the lottery started in 1996. The latest version contained 75 ‘regular’ numbers and 15 Mega Balls. This will be changed to 70 regular numbers and 25 Mega Balls. You do, however, still have to predict the same amount of numbers: 5 regular numbers and 1 Mega Ball. If you take part in a lottery, you obviously hope to win something. For Mega Millions, those odds are 15 to 1. And this is definitely not bad in the world of lotteries. Because of the high jackpot and graat odds of winning, it is especially great that you now get to take part from Europe as well. You can do so online, for instance through TheLotter. Local representatives of TheLotter purchase an official lottery ticket on your behalf. Next, you will receive a digital confirmation, so that you know for sure that you are taking part using your preferred numbers. Do you win the jackpot? Then you should not expect to see tens of millions of dollars in your account right away. Mega Millions pays out the jackpot in 30 annual instalments. This way, you will enjoy your winning lottery tickets for years to come. Ready to win the Mega Millions? Mega Millions is a lottery from the United Sates that is also referred to as The Big Game. This American lottery has a minimum jackpot of 15 million dollars, which makes it very interesting to take part in. Would you want to someday take part in Mega Millions? Now you can receive an exclusive discount of 5% through Loten.com when taking part in 2 draws, and up to 20% discount for taking part in 10 draws of the Mega Millions lotto! You can benefit directly by clicking on the button below! Get your Mega Millions tickets here!